In 2012, Tyler Cowen and Alex Tabarrok, two econ professors at George Mason University, launched Marginal Revolution University (otherwise known as MRUniversity) which delivers free, interactive courses in the economics space. During its early days, MRUniversity created courses on The Great Economists, Development Economics, International Trade, and The Economic History of the Soviet Union. 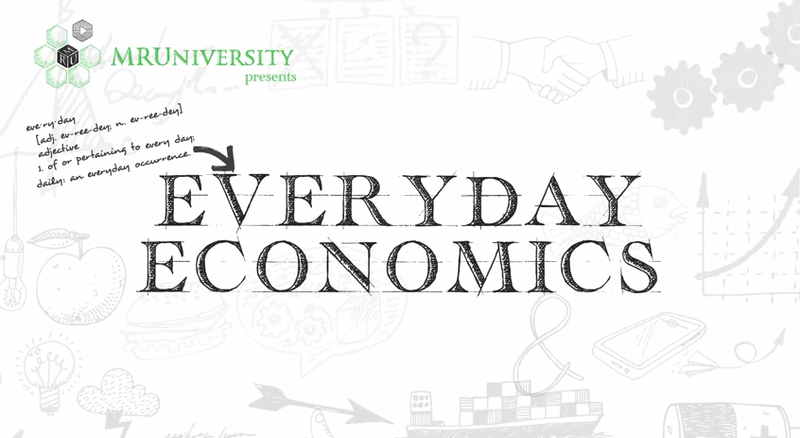 And now it's creating a somewhat unconventional new course called Everyday Economics. The course tries to show how economics impacts people's day-to-day lives. And, rather suitably, MRUniversity is inviting its students -- everyday people around the globe -- to vote for topics the course should cover. It's what's called a "student-driven" course. The course is being built in stages, and you can already watch lectures (above) from the first section, taught by Don Boudreaux. It covers Trade and Prosperity broadly speaking, and gets into topics like The Hockey Stick of Human Prosperity and How the Division of Knowledge Saved My Son's Life. The next section, to be taught by Tyler Cowen, will focus on Food. And right now MRUniversity wants your input on the topics this section might focus on. For example, you might recommend that they explain "Why is tipping so prevalent in restaurants but not in other parts of the economy?" You can make your suggestions here. What other topics will the course cover as it unfolds? It's all still TBD. But, again, you're invited to help shape the syllabus. Bigger picture suggestions are being sought here. For more courses on the Dismal Science, don't forget to peruse our list of Free Online Economics Courses. It part of our meta collection called, 1,300 Free Online Courses from Top Universities.